This commentary by Mr. Syed Muazzem Ali, Bangladesh High Commissioner to India, first appeared on the Pioneer. One-fifth of the global population live in a small territory of our region which is only 3.4% of the world's land surface area. Economically, the region is also disadvantaged as four out of the eight countries in South Asia are still least developed country. However, we are developing fast. 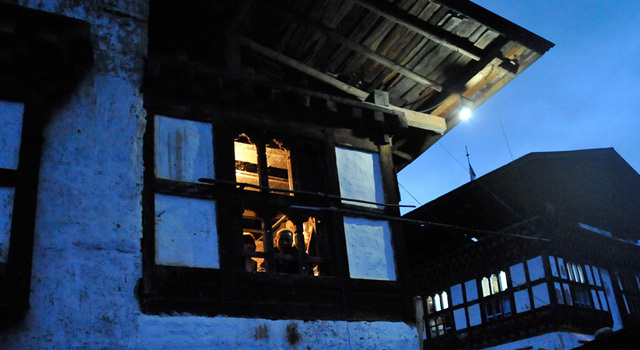 This rapid economic growth and increasing populations have put South Asia's energy security in a challenging state. Compared to the world per capita electricity consumption of 3,128 kilowatt/hour, the average per capita electricity consumption in South Asia is roughly 600 kilowatt/hour, which is bound to increase with the economic progress of the region. To fulfill the increasing demand, there is no substantial amount of hydrocarbon resources in the region. Thermal, hydroelectric, gas and nuclear are the prime sources of energy in the region and we need to devise how fruitfully we can help each other in these sectors to ensure our energy security through country-specific comparative advantages and regional energy cooperation. It is a matter of delight that our closest neighbour, India, is fast emerging as one of the biggest economic powers of the world. I believe, if we can combine our synergies with that of India, it can emerge as a great contributor to the faster economic growth of the region. Being one of the populous countries in the world, with impressive economic growth rate in the recent year, Bangladesh also had suffered a lot due to energy deficiency. Bangladesh Prime Minister Sheikh Hasina, since assumption of power in 2009, has been relentlessly trying to improve the power situation in Bangladesh. In keeping with our developmental vision of graduating from an least developed country to a middle income country, our energy vision is “to ensure energy for all”, by achieving the target of 24,000 MW power by 2021. Under the able leadership of Hasina, we are on track to achieve our vision. To that end, apart from our national efforts, we are also relying on bilateral cooperation as well as on subregional and regional cooperation. 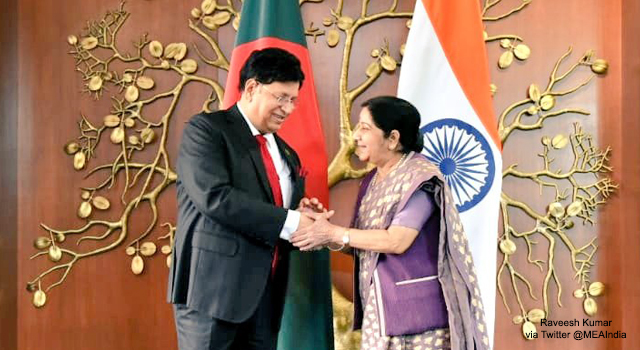 Bangladesh and India, during the past years, have been able to further strengthen and consolidate the friendly bilateral relations. There is now a greater recognition from the political leaderships on both sides that the destinies of our two neighboring countries are inescapably intertwined and we must grow together. It is a matter of great pleasure that Prime Minister Hasina and Prime Minister Narendra Modi have taken the partnership between the two countries “far beyond a strategic partnership,” touching upon “virtually all areas of human endeavor,” To that end, we are happy that Bangladesh and India are experiencing substantive cooperation in the energy sector also. During Hasina's landmark visit to New Delhi in 2010, the two countries signed an agreement on 11 January 2010. 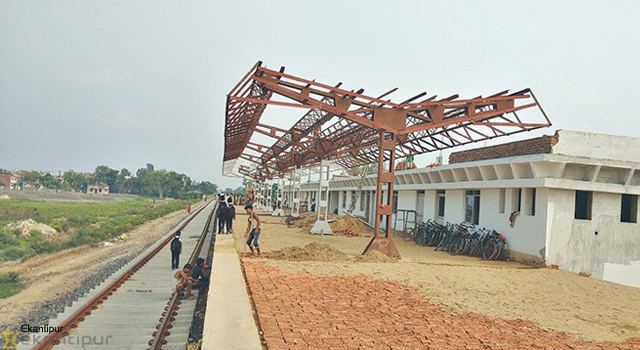 India subsequently started supplying power to Bangladesh from December 2013 and since then, India has been supplying 500 megawatts (MW) of power from the Bheramara-Bahrampur inter-connection. 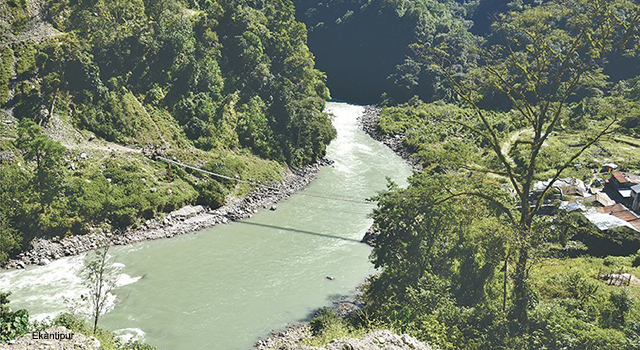 160 MW power is also being supplied to Bangladesh using the Tripura-Comilla interconnection. We have also started cooperation on renewable energy and nuclear power. Bangladesh entered the era of nuclear power on 30 November 2017 with the inauguration of the construction of the 2400 MW Rooppur Nuclear Power Plant in Pabna, which will be built with Russian and Indian collaboration. The development of the Rooppur power plant is India's first ever nuclear venture in the neighborhood, where it will be providing technical assistance to Bangladesh. Another coal-based plant, namely the Maitre Super Thermal Power Project at Rampal, Bagerhat of Bangladesh, by Bangladesh-India Friendship Power Plant Company (Pvt) Ltd, is also progressing well. Under this project, 1,320 MW power will be produced. Alongside, a solar power project at Rampal in two blocks is also in progress with a capacity of about 180 MW. In the private sectors, major Indian conglomerates, like Adani and Reliance Groups, concluded agreement on supply of electricity. Reliance power, India's leading private sector power generation and coal resources company, has already signed agreements to execute 3,000 MW integrated combined cycle gas-based power project and a 500 million standard cubic feet per day (MMSCFD) liquefied natural gas (LNG) terminal in different phases. The first phase of Reliance Power's integrated project of $1 billion or Rs 6,500 crore consists of 750 MW combined cycle gas based power plant, which will be set up at Meghnaghat near Dhaka under the “power project” and 500 MMSCFD LNG Terminal at Kutudbia Island in Bangladesh under the “LNG terminal project.” Energy from this power plant will be sold to Bangladesh under a long-term power purchase agreement with the Bangladesh Power Development Board. Adani Power (Jharkhand) has also inked a long-term pact with Bangladesh Power Development Board to supply electricity from its upcoming 1,600 MW plant at Godda in Jharkhand. A net capacity of 1,496 MW would be supplied to Bangladesh for 25 years from this coal-based, ultra-supercritical power plant in Jharkhand. Several other projects in the power sector have been included in the new line of credit of $4.5 billion, which was announced during the visit of Prime Minister Hasina to India in April 2017. 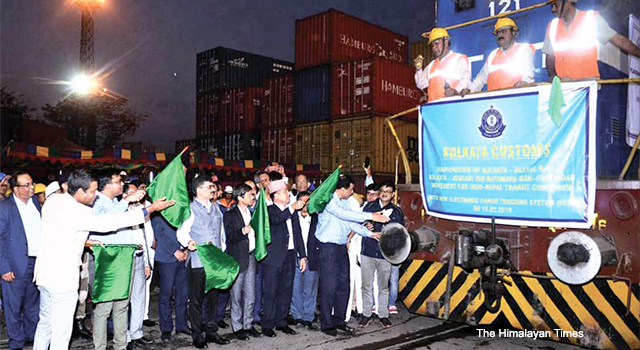 Agreements worth nearly $13 billion of Indian investment were also signed during the visit, which is mainly in the power and energy sectors of Bangladesh, nearly $9 billion. 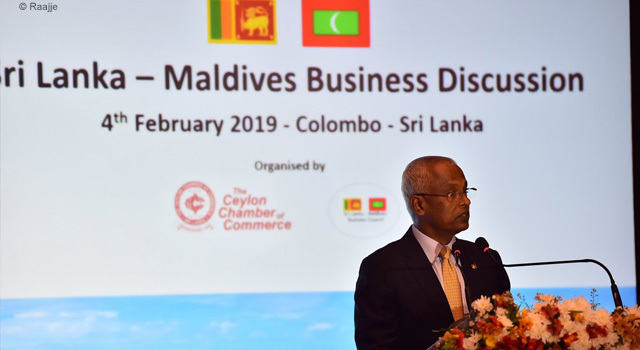 Cooperation in other sectors of power/energy is also taking shape, especially in the fields of supply of high-speed diesel, natural gas, LPG and transboundary pipelines. Bangladesh has decided to purchase excess diesel from one of the Indian refineries in Assam (Numaligarh Refinery). In addition to the existing projects, discussion on importing additional 500 MW power by Bangladesh from India through capacity upgradation of the existing Bheramara-Baharampur interconnection is in progress. Implementation of Bheramara-Baharampur 400 kilovolts (kV) second transmission line and implementation of the Katihar-Parbotipur-Bornagar 765 kV interconnection are also progressing well. There has been further discussion on the supply of 340 MW from various NTPC stations. Besides, Indian state-run ONGC has been awarded Gas exploration in two blocks of Bay of Bengal. Alongside, these bilateral initiatives we are also moving to subregional cooperation. 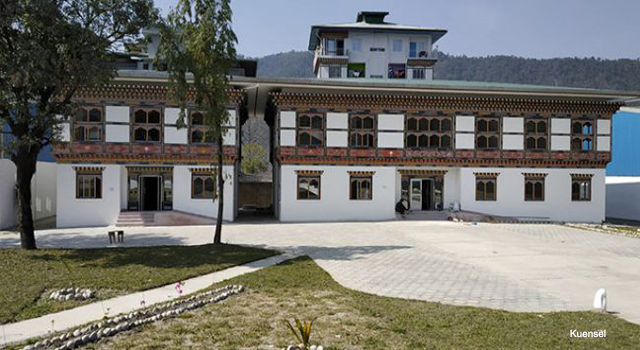 A trilateral investment of 1,125 MW hydropower project in Bhutan by Bangladesh, India and Bhutan, is also under discussion. I think, we need to further strengthen our existing subregional and regional platform like BBIN, SAARC and BIMSTEC. Signing of the SAARC Framework Agreement for Energy Cooperation (Electricity) is expected to create a regional market for power trade. 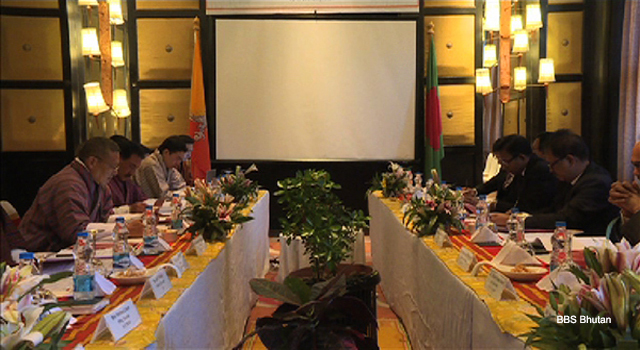 We can expedite similar cooperation framework under the aegis of BIMSTEC. In our capacity as a founding member of both SAARC and BIMSTEC, we are ready to cooperate in all the essential energy related projects of these organizations. Finally, I would like to emphasize that, through concerted efforts, we will make important steps towards enhancing energy security in our region. I take this opportunity to commend India for extending the energy cooperation initiatives in the region and playing an important role in meeting our energy need. Bangladesh expects that India will come forward with more such projects and initiatives to enhance energy management capacity in Bangladesh as well as in the region. If we can increase our interdependence through various crucial projects, particularly in the power sector, this will act as a catalyst in stabilizing our long-term relations. Energy cooperation can be a great stabilizer for the whole region also.